This year DoN got to know Dr. Deb Miller of the Da Vinci Art Alliance; Miller is a driving force behind the production of themed art shows for the gallery at the Da Vinci Art Alliance, Smile Gallery, Bartram’s Garden Gallery, the Black Box Gallery @ The Lantern Theater and more. This year art exhibits included Envisioning Hamlet, Darwin & Carnivorous Plants, Windows on the World, Heroines & Harlots.. collaborations with The Lantern Theater, Bartrams Garden, Smile Gallery & more. 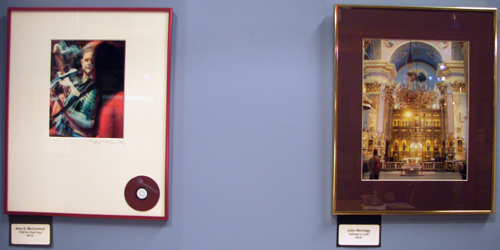 As a result of these concept shows DoN won more awards for art this year than in all previous years of entering shows. Dr. Deb always takes an extra moment to praise the artist when presenting awards, tells an anecdote about the work, shares tidbits about her life in Andy Warhol’s circle and makes sure all the artists even though they may not win anything, feel special, that it’s worth all the time & effort to produce art. Twice, Dr. Deb has whispered in DoN’s ear during award ceremonies that she thought he should have won first prize instead of honorable mention – DoN bets Dr. Debbie says that to all the boys. On the move – Dr. Miller makes sure the audience moves through the gallery and presents awards by the art work instead of from a fixed spot as many other juried shows do. 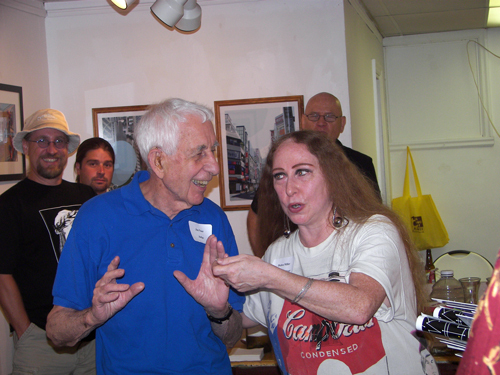 Her gregarious banter and knowledgeable comments always are educational, informative and frank. Dr. Deb Miller @ Bartram’s Garden Gallery. 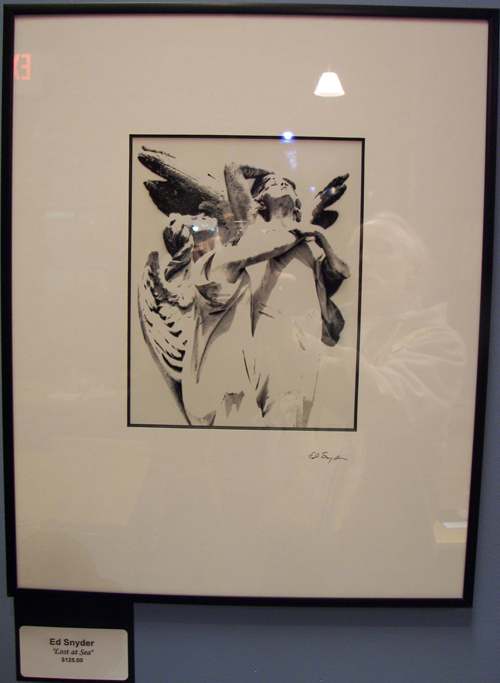 DoN in awe of Dr. Deb‘s comments on his “Botanical Print” @ Bartram’s Garden Gallery. Actually, Dr. Deb always makes sure DoN say a few words about his work and she always gets jurors to speak about their decisions. Dr. Debra Miller, Liz Niklus, Alden Cole, David Foss & Ona Kalstein @ Da Vinci Art Alliance. The board at the Da Vinci Art Alliance performs an essential function in the Philly art community, providing a creative outlet, a great social network and a vibrant array of shows, lectures and parties. 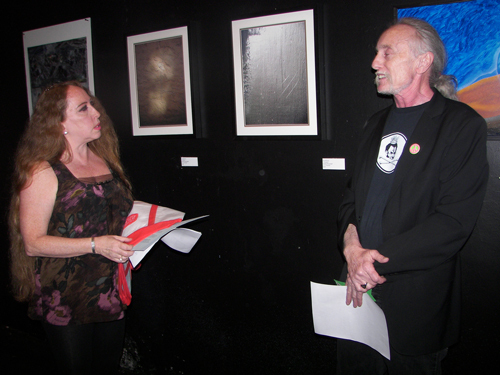 Dr. Deb Miller presenting DoN with an award for his digital photograph called, Denmark, for the Envisioning Hamlet Show @ The Black Box Gallery in the Lantern Theater. DoN recently eves-dropped David Foss and heard there will be continuing collaborations with the Lantern Theater and the International Opera Theater – coolness! 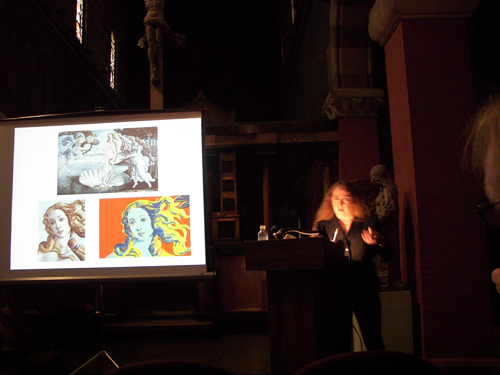 Dr. Debra Miller gives a great lecture about Andy Warhol, here she’s presenting her talk @ The Fleisher Art Memorial. 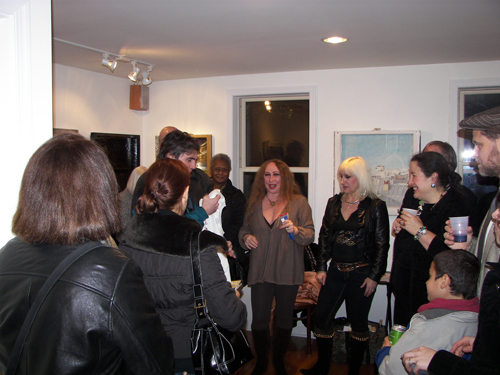 Philly Art Stars @ the Windows on the World opening @ Smile Gallery. That’s the back of Liz Niklus‘ head, Dr. Deb, Lilliana Didovic & Betsy Alexander, that was a great show, in fact the three winners are having their show at the gallery next month. Photographer Jon Naar with Dr. Debra @ Photosynthesis 2008 @ Da Vinci Art Alliance. Thanks to Dr. Debra Miller and the entire board of the Da Vinci Art Alliance for providing such an outstanding platform for artists to exercise their creative muscles. DoN can’t wait to see what 2010 has in store at the venerable art alliance. This entry was posted in Art in Philadelphia, Da Vinci Art Alliance, Fine Art Philadelphia, Philadelphia, Philadelphia Art, Philadelphia Art Alliances, Philadelphia Art Clubs, Philadelphia Art Galleries, Philadelphia Artists, Philadelphia Artists, Philadelphia Pop Art, Uncategorized on December 30, 2009 by admin1. Bruce Gast @ The Dumpster Divers Gallery on South Street. 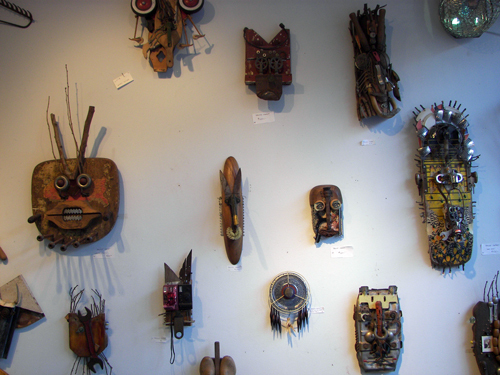 Like some alien tribal mask collection, Bruce Gast‘s found object constructions tell the story of an art collector from a galaxy far, far away who loves to capture and mount the heads of his trophies from space safaris. 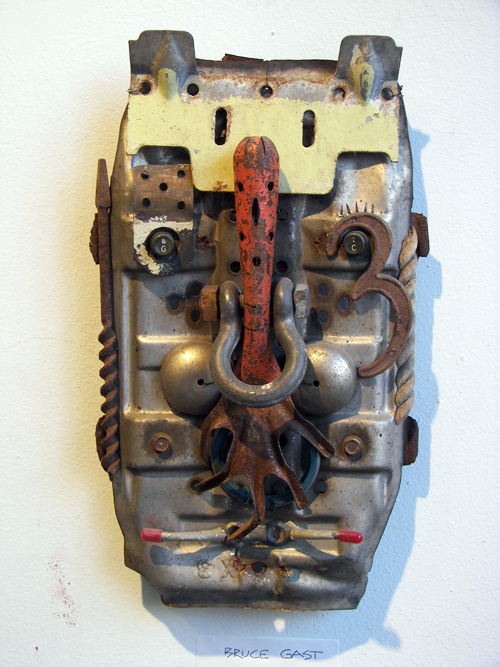 Each piece has a personality from another dimension, tapping into race memory and cell consciousness like some wacko Venus of Willendorf on a moon of Jupiter. Bruce Gast @ The Dumpster Divers on South Street. This entry was posted in Art in Philadelphia, Art Spaces Philadelphia, Collage, Collectibles, Fine Art Philadelphia, Folk Art, Mixed Media Art, Philadelphia, Philadelphia Abstract Art, Philadelphia Art, Philadelphia Art Galleries, Philadelphia Art Installations, Philadelphia Art Shows, Philadelphia Artists, Philadelphia Artists, Recycled Art, Uncategorized on December 29, 2009 by admin1. Attention: You have to get the attention of your prospect through some advertising or prospecting method. Interest: Build their interest by using an emotional appeal such as how good they will look to their boss when they make this deal that will save the company thousands of dollars! Desire: Build their desire for your product by showing them its features and letting them sample or test-drive it. Conviction: Increase their desire for your product by statistically proving the worth of your product. Compare it to its competitors. Use testimonials from happy customers. Action: Encourage the prospect to act. This is your closing. Ask for the order. If they object, address their objections. There are then many variations of closing techniques that can help get the business. A Direct Close – Simply ask for the order when you are sure your prospect is ready. 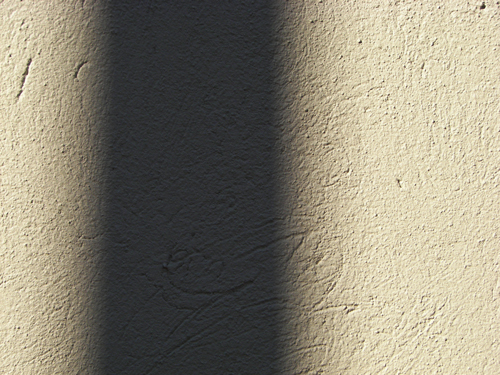 Many of these sales techniques found at HowStuffWorks.com translate to selling art, if one can change the sales-persons emotional connection to the art into a quantifiable commodity that can be expressed to potential buyers then maybe more art would sell and sustain art businesses. 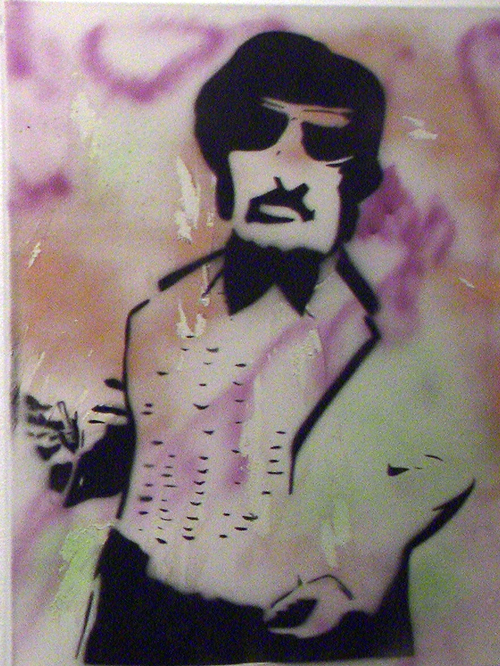 DoN Brewer, Urban Glyph, digital photograph, inkjet print @ DaVinci Art Alliance, Winter 2009. DoN Brewer, Red Zone, digital photograph, inkjet print This is one of DoN‘s favorites, the framed print has a silver liner mat which works great with the chrome of the image. 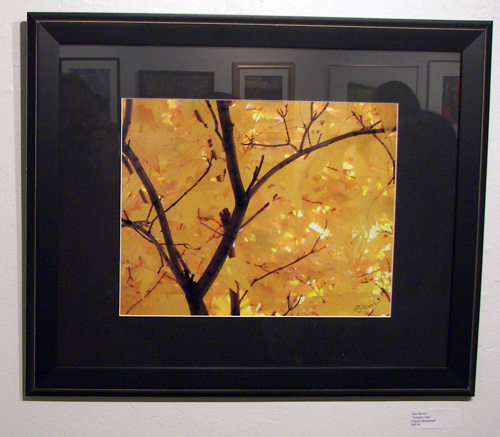 DoN Brewer, Autumn, digital photograph, framed inkjet print, 16×20″ available @ Da Vinci Art Alliance’s Under $200.00 show. 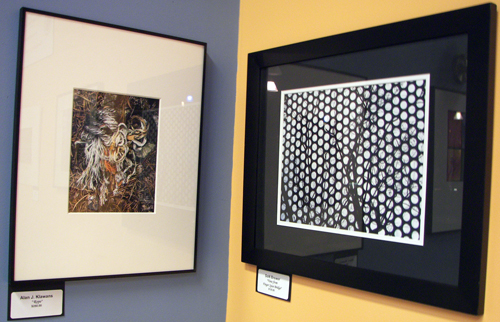 DoN Brewer, Urban Glyph & Red Zone, digital photographs, inkjet print, 16 x 20″, framed @ Da Vinci Art Alliance Under $200.00 Show – special end of show reduced sale price $95.00! The gallery gets a 15% commission. This entry was posted in Uncategorized on December 26, 2009 by admin1. The November issue of Philadelphia Magazine had an article called “Five Artists Who Will Make You Rich” by curator extraordinaire Eileen Tognini. What a task? DoN is familiar with four of the five artists the esteemed curator gleaned and couldn’t agree more but it made him wonder who he might choose if he could only pick five. 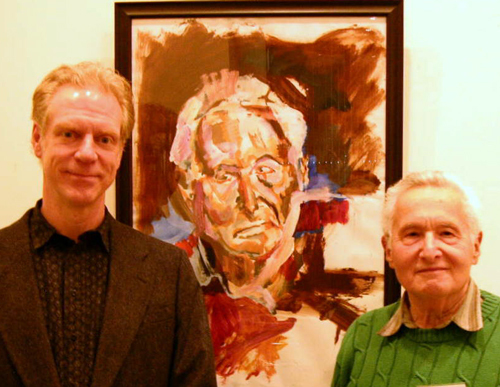 Karl Olsen with model/artist Arthur Ostroff @ the MCGOPA show last Fall. Olsen is driven to achieve a level of technique, style, originality that is fiercely determined, tenacious yet warmly accessible – everyone loves impressionism but Olsen’s squishy brushwork has a darker undercurrent of emotion like a 21st Century Otto Dix, Olsen exposes the hurt, apprehension & fear of life during war-time preserving a moment of great change in our history. Photo courtesy of Karl Olsen. 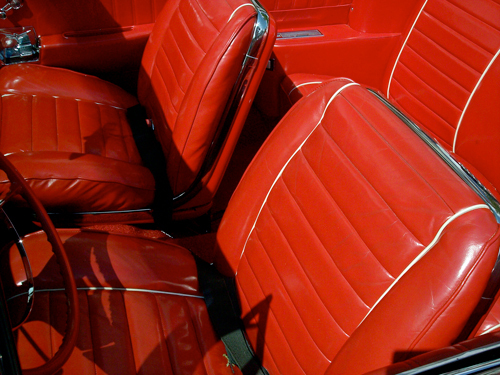 Brooke Hine was one of Tognini’s picks to make you rich. DoN finds that just spending time with Brooke makes him feel richer; Hine is warm, empathic, vivacious, sharing, curious and extraordinarily creative – some of her ceramic sculpture incorporate cat whiskers, so poetic. Her ancient/future ceramic concoctions ooze a dystopian narrative of archeological digs in our own future world or some inter-planetary find by an ancient space visitor. Bones, spines, claws, spikes, hairs, curves and swirls all meld into interchangeable narratives – spooky yet fun. 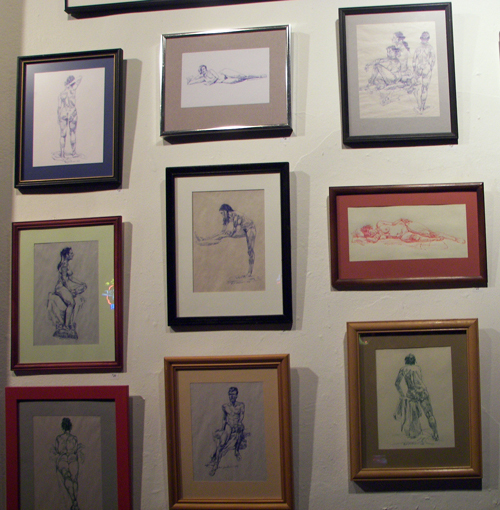 Bob Jackson‘s ball point pen figure studies on typing paper are like finding the perfect seashell on the beach or a crystal you want to keep while rock-hounding or that great antique find at a Paris flea market. Jackson’s drawings are expressive and technically precise yet his use of lowly materials raises up ordinary paper to a higher plain because of the lines of ink Bob streams across the page with abandon, lyricism and grace. Jackson is President of the Plastic Club where you can buy his drawings for around 20 bucks. Karen McDonnell & Tony Cortosi collaborate on each of their hand-drawn, hand-cut stencil spray-paint paintings skewering modern icons, historic figures and art world figure-heads with equal levels or irony, respect, sarcasm, awe and cultural awareness from punk, pop & hip-hop to Shakespeare to Foxy Brown. Their mash-ups are a comment on our time bringing a skate-punk anarchistic rock mentality to the gallery setting without giving up on street-cred integrity. Eileen Tognini picked Rachel Constantine because she personifies the quintessential PAFA school of atmospheric realism presenting realistic, emotionally charged, technically accomplished paintings and deservedly so, Rachel’s work is absolute perfection. But, DoN would include Paul DuSold in his time capsule of 21st Century art investment; DuSold’s paintings are ripe with vivid life brought into the realm of the sublime. 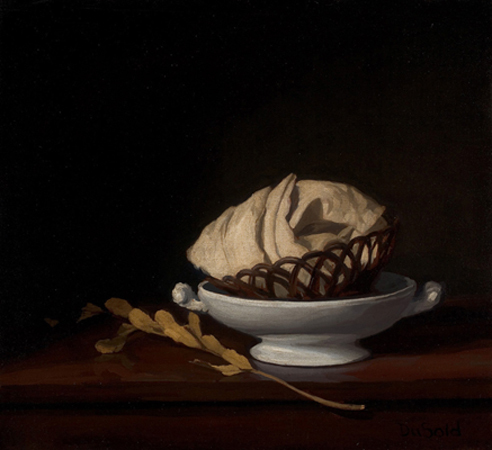 A simple wrapped loaf conveys a story deep with realness, a flower lives only for the moment before fading to obscurity, the portrait a glimpse into a model’s inner thoughts or the patron’s aspirations – Paul DuSold is a modern painter working with techniques passed down through the ages. 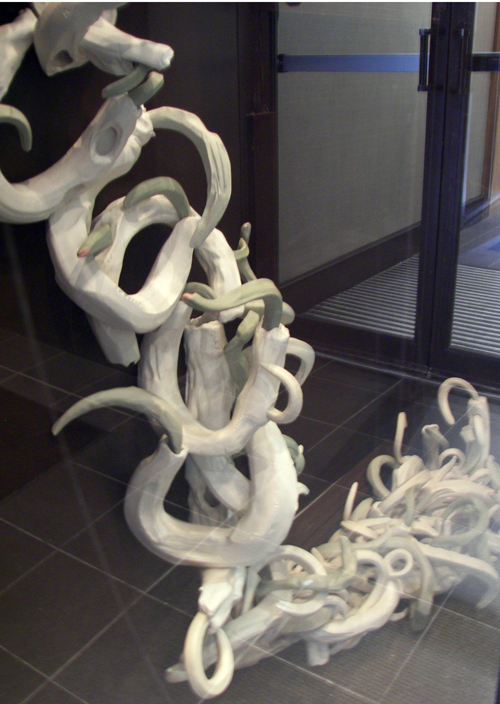 This entry was posted in Art in Philadelphia, Ceramics & Sculpture, DoNBrewer, Drawings, Mixed Media Art, Paintings Philadelphia, Philadelphia, Philadelphia Art, Philadelphia Artists, Philadelphia Artists, Philadelphia Pop Art, Philadelphia Sculpture, Uncategorized on December 26, 2009 by admin1. 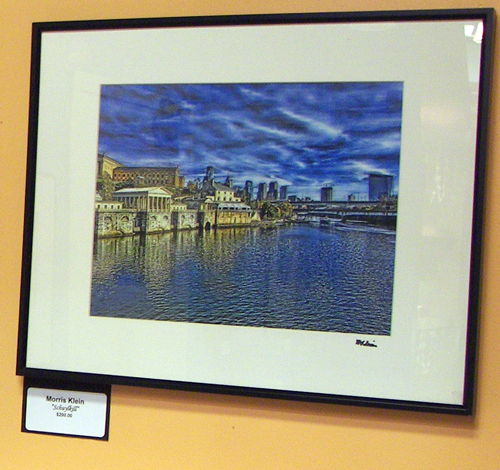 Photographic Society of Philadelphia 16 x 20 Show @ Bonte’s Cafe. Alan J. Klawans, Rope and DoN Brewer, View from Finger Span Bridge @ Philadelphia Society of Photography exhibit and sale in Bonte’s Cafe, 9th & Walnut. It’s really cool when the photographers descend on Bonte’s at 6:00 PM on a Friday night and switch out the photos in the ongoing exhibit, the vibe is so interesting since photographers come from all walks of life, photography is a very democratic art form. But, the work that the Society shows is always above par, adventurous, experimental, thoughtful and professional. Ed Snyder, Lost at Sea. Snyder’s Angels always offer hope, inspiration and introspection, the stone icons emote messages that will take eons to expire. Amy E. McCormick, Will the Hard Way and John Wernega, Adorned in Gold. Eileen Eckstein, Coachem Castle Window and Mina Smith-Segal, Rollerbladers @ PSoP in Bonte’s 9th & Walnut. Eileen is the Society President and Mina leads a drawing workshop @ The Philadelphia Sketch Club. Morris Klein is the Vice President of The Photographic Society of Philadelphia managing the ongoing exhibit of member works in bi-monthly rotation as well as overseeing the one-person shows at Bonte’s on 17th Street. Morris’ photographs are often dreamy and languid like an impressionist painting as in this view of the city from the Schuykill River. This entry was posted in Art in Philadelphia, Art Spaces Philadelphia, DoNBrewer, Fine Art Philadelphia, Philadelphia, Philadelphia Art, Philadelphia Artists, Philadelphia Artists, Philadelphia Photographers, Photographic Society of Philadelphia, Photography Philadelphia, Public Art, Uncategorized on December 24, 2009 by admin1.